The Farmers Market returns to Town Park for our 2 Winter Markets on Friday November 23 and Saturday December 1 from 11 am to 3 pm. Both Markets feature free Kids activities and a regular Farmers Market. 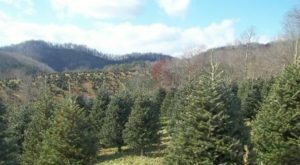 You’ll be able to pick up the trees and wreaths you have ordered on the On-line Market. In addition, December 1st features the annual Chili cook-off and Town Christmas Parade. 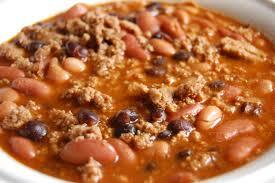 Bring a crock pot of( preferably warm) chili to the Market by 10:45 am. It’s free to enter. $5 allows you to taste all the entries-usually around 10- and vote for the People’s Choice. That’s right, you are the judges! Thanks to Ward Manor for sponsoring the day and all the prizes! $100 for 1st, $30 for 2nd and $20 for 3rd place. Be sure to stay for the Christmas parade-yes we’ll be in it! and all the fun Town activities with Santa and more. Just a reminder, the fabulous pesticide-free Christmas trees and wreaths from Brookgreen Farm werre ONLY available for pre-order online, we will not have extras at the Market this year. This entry was posted in Contest, Events, Market Day and tagged chili cook-off, Christmas trees, contest, prize money. Bookmark the permalink. Thank you for your support for the Solid Rock Food Closet in Sparta. Great fun, wonderful learning opp, and a real blessing to meet so many nice people. Look forward to the future and opportunities for growth and fellowship.